So I would love to do a full Impressions piece on The First Tree, but in all honesty, I don’t feel that it would be right. 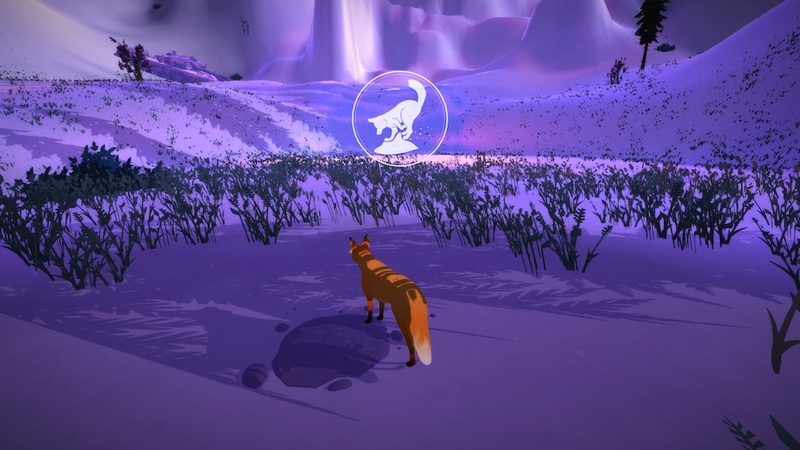 Without meaning to sound pretentious, The First Tree is a game that must be experienced. I will spend my limited words in this Mini Impressions hopefully convincing you of that fact and allowing you to enjoy the game yourself. The First Tree finds a fox waking up to see that her kits are missing and the voice-over of a man waking up to tell his partner about a dream he had about the fox. He describes following her in his dream while she searches. You mostly play as the fox on her journey, but you aren’t just searching for her kits, you are searching for the life story of the couple. It is mostly told from the man’s perspective as he describes growing up in Alaska and his ever-shifting relationship with his father throughout the years. Their fights, his angst, the love, and so many other pieces that we know make up a family. The partner is not passive in this story though, she has experienced her own heartbreak and offers fragments of her story and help to see how the couple comes together. It is hard to nail down a word to describe the story of this game, but poignant is probably the closest. It is filled with a range of emotions from happy all the way down to heart-wrenching on a level that is nearly impossible to describe. Twice in my experience, as a gamer has a game moved me to tears so much that I was unable to play, one was Valiant Hearts the other was this game. Part of the reason the game has so much impact is that the core theme is death. I don’t want to spoil too much, though you might be able to fill in with context, but it is worth experiencing regardless of how hard it might be. It approaches death in a believable way. Not as only worthy of being depressed over, but a part of life that we should neither fear nor hate, but also that it is impossible for us to accept completely. Death is something all humans must face, but it is never easy, and no matter how we might prepare ourselves for it, it’s never enough. The game does offer a hopeful message but doesn’t attempt to sugar coat an incredibly difficult subject. It becomes, in the end, one of the most honest messages I have ever experienced dealing with the subject of death. It does all this while set in one of the most beautiful games I have had the chance to play. The art is gorgeous, there is a range in colors and pallets each one perfect, and the soundtrack is perfectly utilized. The writing and voice overs are spectacular. It all comes together to create a solid and worthwhile experience. 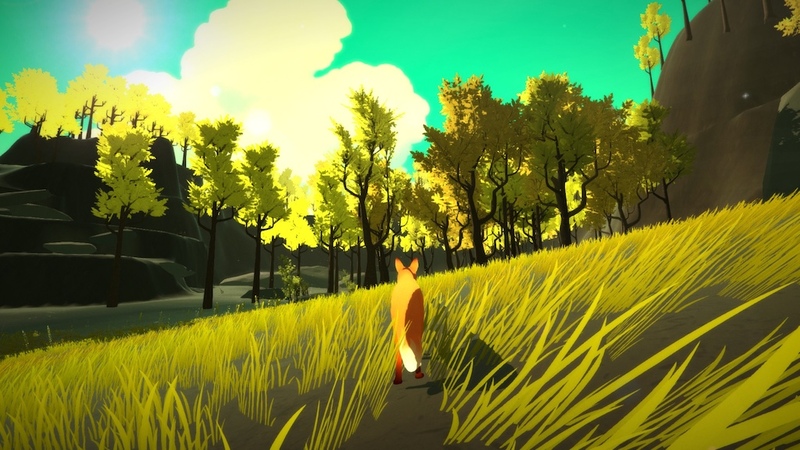 The game is about helping both the fox and the couple take a journey and you the player are given great incentive to go on it with them. There are also many different memories and stars to collect, and if you don’t find everything the first time, it’s worth playing again. I will give the warning with my one issue with the game, the fox does not control the best on mouse and keyboard. I have not had a chance to try with a controller to see if it changes the experience. It is far from game breaking, but the jerky movements of the fox might seem odd in comparison to such a beautiful looking game. Anyone that likes artsy indie games that are heavy on story needs to pick this one up. It’s worth the price of admission, and I cannot express how much I hope to see more from the developer and writer, David Wehle. I just must once again say that the game deals with a tough subject honestly. This game requires at the very least tissues and a warning for what you are getting into. It’s worth it, so worth it, you just should know.